With New Year’s Eve tonight and the weather just plain old miserable, you’re probably thinking that next year might the time to spice it up a bit with a some sun thrown in for good measure. The dawn of the new year doesn’t have to be the same old routine in your local, and with more and more people choosing to celebrate abroad we thought a guide to visiting South America for New Year’s Eve. The continent not only has some of the world’s biggest events but also one of the best party atmospheres and offers an experience that will be hard to beat! 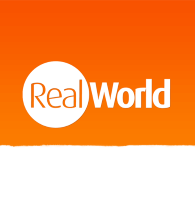 Rio is famed for it’s party atmosphere and it doesn’t disappoint on New Year’s Eve, with over a million people descending on the city for one of the world’s biggest parties. 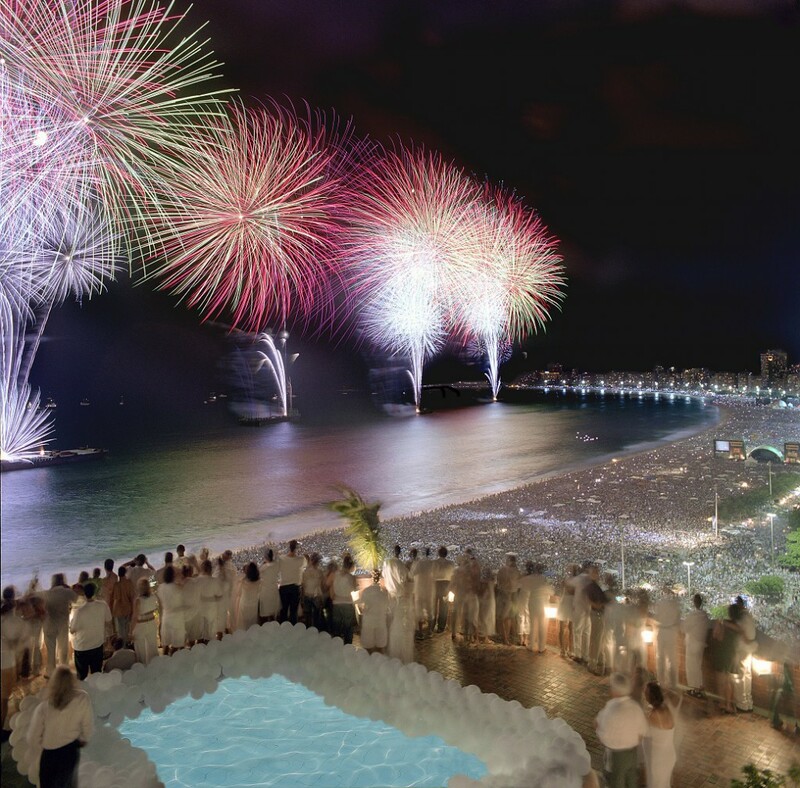 New Years Eve in Rio is more than just dancing and drinking, it’s a fun filled ritual. With the majority of people wearing all white, party goers head down to the ocean to jump over the waves and throw flowers as a way of showing thanks to the goddess of the sea. With free live music on offer the whole way down Copacabana beach, it’s a popular place for people who don’t want to pay pricey entrance fees. If you’re looking for something away from the hustle and bustle of the beach front than one of Rio’s private parties may be for you. With the majority of hotels and bars throwing parties, there is something to keep everyone happy. 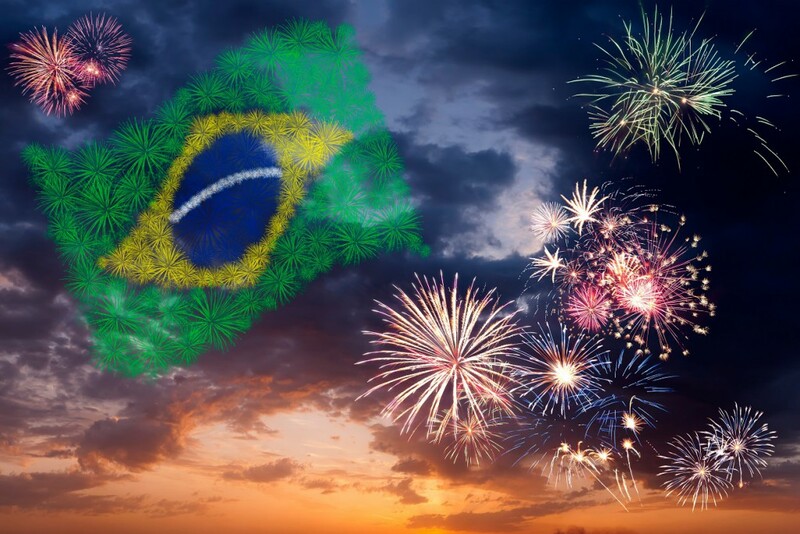 When the clock strikes twelve make sure your down at Copacabana beach, where dozens of floating islands launch the mother of all firework shows! The only downside to Rio for New Year is the flights can be quite pricey and the hotels have a minimum number of nights you have to stay for so it’s worth planning this trip well in advance to keep it affordable. Rio always puts on a good show for New Year! 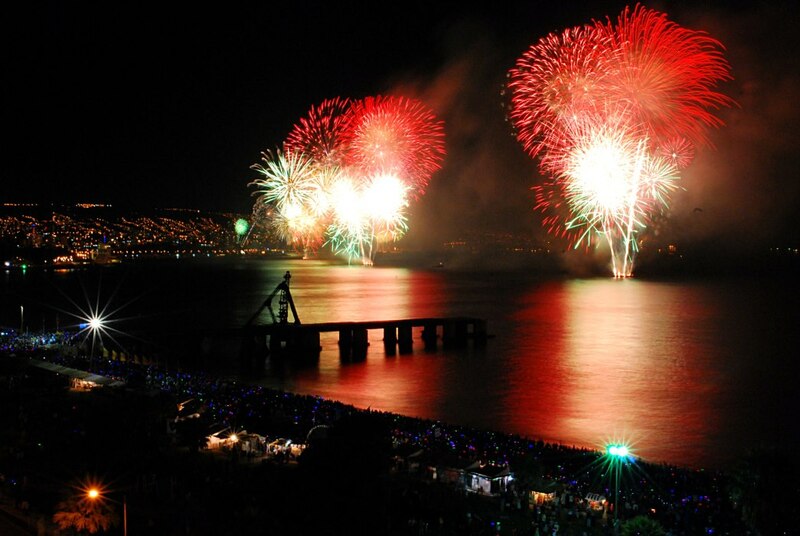 A favourite alternative to the New Year’s celebrations of Rio are held in the Chilean town of Valparaiso. The colourful town is steeped in history and culture and had one of the busiest ports of the 19th century. The stunning architecture and colourful houses cascade down towards the ocean and provide an amazing back drop to an incredible event. New Year’s in Valparaiso is a three day festival of fun, dancing, singing and fireworks! At midnight on the 31st the whole town turns off it’s lights and plays host to the biggest fireworks show in Latin America. The best place to stay is in hotels along the coast to get the best view of the show. Fireworks are set off from fifteen points in the city and along the coast of Vina Del Mar. The beautiful rooftops of Cusco make a great backdrop for firework displays! 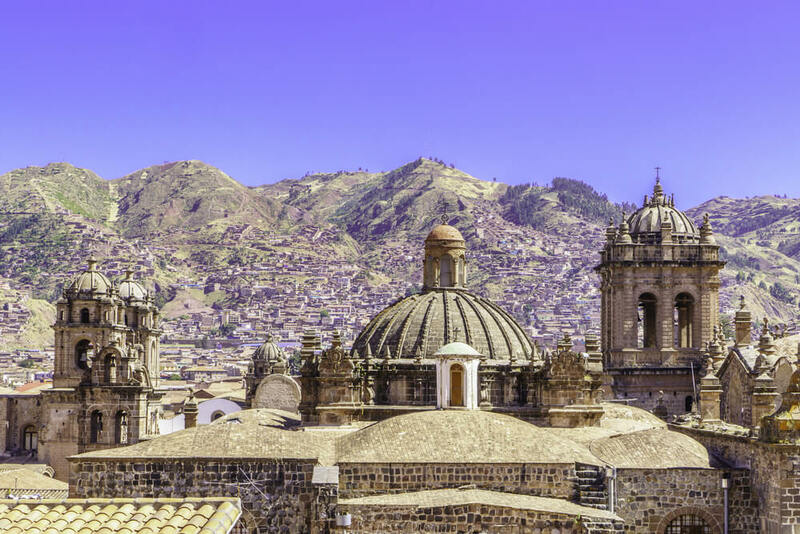 The ancient Inca Capital of Cusco is not only one of the best places in South America to experience New Year’s Eve, it’s also the stop off point to visit Machu Picchu so well worth a visit for that too. On the 31st thousands of people descend on the Plaza De Armas (the city’s main square) to celebrate the end of the year. Tourists from all over the world travel to Cusco to party alongside the locals in a celebration of dancing, drinking and you guessed it, fireworks! In ancient Inca tradition most party goers wear yellow clothing, even down to their underwear, to bring them good luck. You can pick up yellow clothes and accessories on the street for a very reasonable price so there is no excuse not to take part in the tradition. New Year’s Eve in South America is something that should be experienced by everyone at least once. With its party culture and amazing cities the continent truly is the best place to see in the Near Year. So why not get planning for next year and experience a night like no other!